Chatsworth House and Gardens. A must visit for everyone! 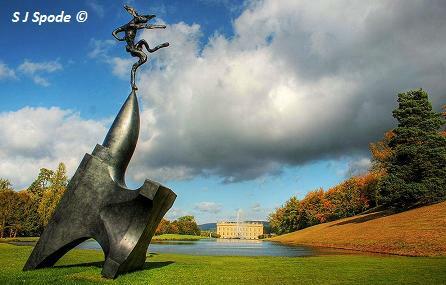 Chatsworth House and Garden is set on the edge of The Peak District and is one of the most stunning gardens in the British Isles. The Great Cascade was built in around 1700 and is now fully restored tumbling down the hillside, where children can paddle. This is a fantastic cascade and probably the longest in Britain. There is so much more to see with fabulous rock garden with huge boulders, lakes and fountain, rose garden, maze and kitchen garden. Rest on the grassy hillside overlooking the lake and fountain. All in all a great day out for all the family. The historic stately home is also open with paintings, antique furnishings, stupendous rooms, what more can we say. 2019 Chatsworth House Garden from 23 March - please see website for more information. If you want find places to stay near Chatsworth House Gardens, why not stay in one of our recommended hotels. Each hotel has genuine guest reviews enabling you to book from anywhere in the world in total confidence. 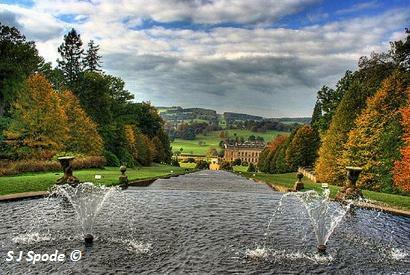 Look now for hotels near Chatsworth House - click here.